Instead of us just telling you how good we are, we asked Newcastle-based Jodi and Stella Kean (Choclateas) to tell us what they think of our cloud-based Sage One Accounts software. 1. Hi Jodi/Stella, could you please give me a brief summary of who you are, what you do and the name of your business? 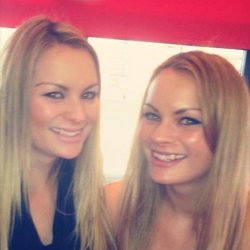 We are Jodi and Stella Kean – two twin sisters from Newcastle and we own a speciality tea company called Choclateas. The idea behind Choclateas is that we merge the worlds of tea and confectionary together and offer something fun, quirky and totally new to the hot drinks market…tea that tastes like sweets and chocolate! Craving that sweet fix? No need to panic – Choclateas offers some of your much-loved “treat flavours” with all of the flavour but none of the calories. We have everything from chilli chocolate to rhubarb and custard and all-time classics such as mint chocolate and humbugs. 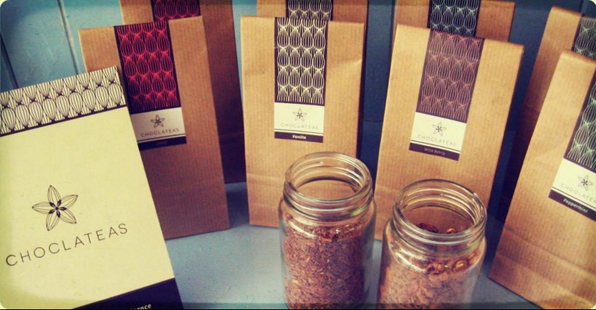 Our products vary from luxury loose leaf teas to the more friendly retro style tea bags, there really is something for everyone! AND with less than 20 calories per cup, your taste buds will thank us and so will your waistlines! We are on a mission to “trendy tea up” and offer something fresh and exciting to the new generation of tea drinkers…Good bye Mr Grey…HELLO Choclateas! 2. Are you a sole trader, partnership or limited company / how many people are in your business? There are two of us in the business and we run as a Partnership at present. We have only been using Sage One Accounts for approximately 3 months but it really has been a life saver. We were previously using a free programme called “Brightbook” but it didn’t have all the features that Sage One has. We decided to change as the business was growing and we needed something more professional (but not too complex) to help us keep track of our incomings and outgoings. The best thing about Sage One is how easy it is to use. We have never been one for accounts and figures so having something that is so easy to understand makes our lives so much easier. (Jodi and Stella received funding for their business from the Sage One-backed Start Up Loans scheme which is being run by Virgin Money and PNE Enterprise. If you’re aged 18-30 and based in the North East or Cumbria, take a look at www.startuploansnortheast.co.uk. For other parts of the UK take a look at www.startuploans.co.uk).